The Pemberton Veterinary Hospital is a mixed practice, providing veterinary care for dogs, cats, horses, and production animals, including cattle and other livestock. We are located in the heart of the beautiful Pemberton valley, 30 minutes north of Whistler, BC. The hospital is set up for small animal care, with large animal care provided on-site via our mobile services. 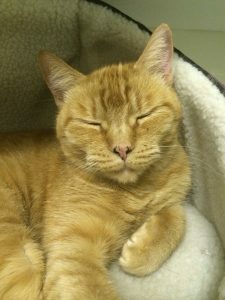 For more information about the veterinary care we provide, please see our services page. Laura White grew up on an acreage in rural Manitoba, where her parents still reside. She attended the university of Manitoba prior to being accepted into the Western College of Veterinary Medicine in Saskatoon, Saskatchewan. Laura graduated in 2008 and was awarded the Alexander Janz Memorial Award for Excellence in Large Animal Anesthesia. Laura has always had a passion for animals, and has owned and ridden horses for most of her life. her past experiences include working on a dairy farm and as a groom on the thoroughbred racetrack in Winnipeg. Following graduation in 2008, Laura moved to Vanderhoof, BC and worked as an associate veterinarian. The challenges and variety of rural mixed animal practice made for a great start to Laura’s career. In the fall of 2011, Laura and her husband Dan moved to the Okanagan. 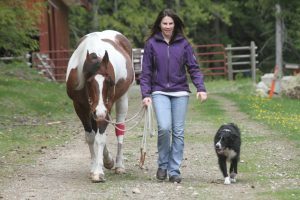 Laura began working as a locum (relief) veterinarian throughout the province, as well as starting a mobile large animal practice. It was as a locum that Laura first came to Pemberton. After falling in love with the valley and the practice, Laura and Dan moved here permanently in the spring of 2013. Laura purchased the Pemberton Veterinary Hospital in the spring of 2014. Outside of work, Laura spends much of her time with her two horses, Sunny & Dora and her border collie, Arrow. Laura enjoys the outdoors, particularly hiking and exploring beautiful British Columbia. Jen moved to Whistler in 2009 for one year to snowboard and experience the 2010 Olympic Games. After one failed attempt to move back to Toronto, she settled in the Sea to Sky corridor working in tourism and hospitality. Always wanting to get into the field of veterinary medicine, she decided to go back to school to become a Registered Veterinary Technician. She moved to Kamloops to complete the Animal Health Technology program at Thompson Rivers University. Jen spent 3 weeks with us here in Pemberton as part of her RVT program in February 2017 and returned to join the team after graduating in May. 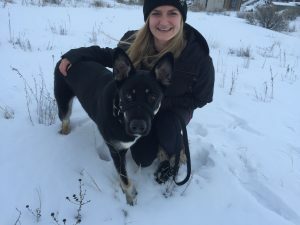 She now resides in Pemberton with her large dopey dog Thor, who she adopted from the Animal Health Program at TRU after spending 4 months with her as a teaching dog. Originally from England, Naomi has had a lifelong passion for animal welfare. After relocating to Canada and spending a number of years in Squamish, Naomi graduated from the University of British Columbia in Kelowna in 2011 with a Bachelor of Arts degree in English. Naomi joined the Pemberton Veterinary Hospital team in the summer of 2013, adopting the roles of reception and administration. She enjoys spending her time out on the trails with her happy-go-lucky mixed mutt called Indy or with her horse, Silver. Anjolina, full name “Angelina Jolie” came to us in the winter of 2013, originally as a PAWS cat. Having decided that she preferred clinic life over shelter life, she became a permanent resident at Pemberton Veterinary Hospital. She enjoys the company of dogs, and finishing off uneaten cans of cat food.